Everyone loves Minions! 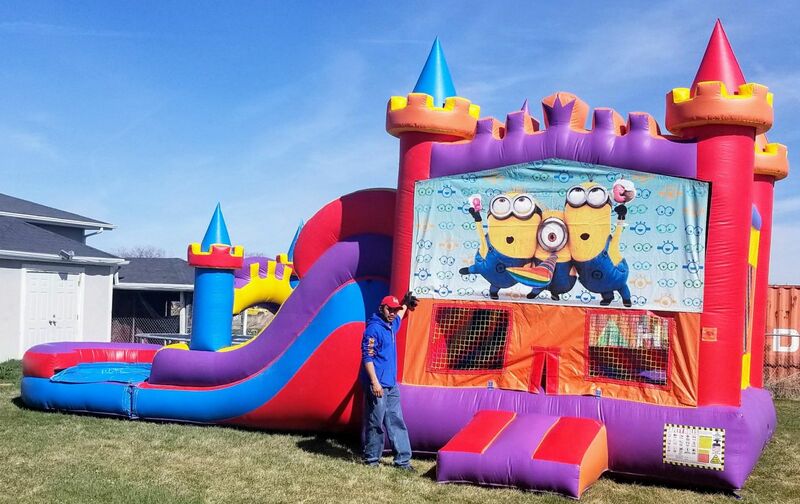 These funny little yellow creatures are a big must for a minion bouncy party. 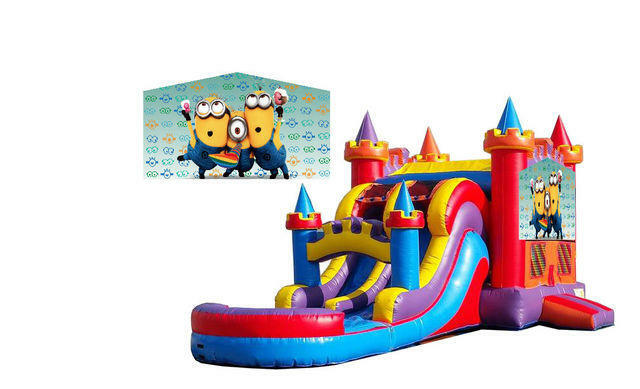 This Minions Combo unit has a basketball hoop inside the bounce area and easy climb up to the 9 ft tall double slide. 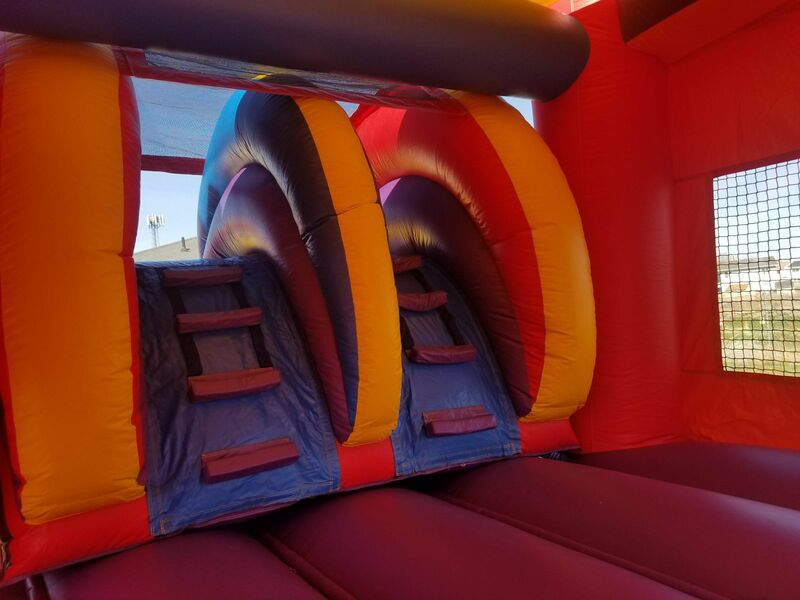 Customer must supply WATER AND THE HOSE, For all water slides rentals. Please make sure your hose reaches set up area for water slides.